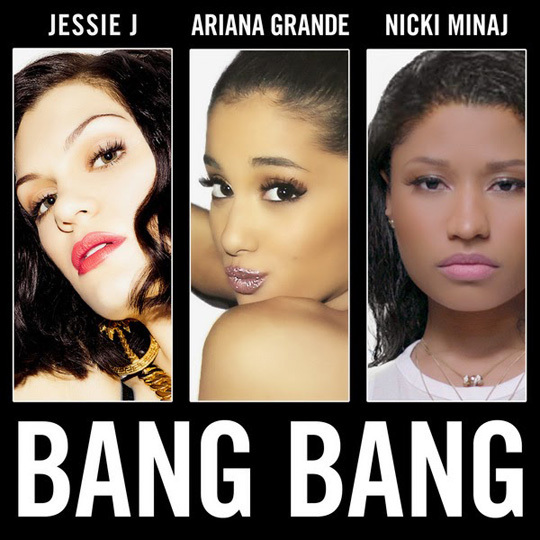 2 years after going quintuple Platinum, the RIAA have now confirmed that Jessie J, Nicki Minaj and Ariana Grande‘s “Bang Bang” collaboration was certified sextuple Platinum on October 20th. This means that the Max Martin, Savan Kotecha and Ilya-co-produced single has been purchased and streamed over 6 million times since it was first released on July 15th in 2014. Congratulations to the girls on this unbelievable achievement! Music video director Hannah Lux Davis was a special guest on episode 4 of Daniel Ralston‘s “Videohead” podcast. Throughout their conversation, Hannah spoke on how she got into video directing, the challenges of being a young woman on set, and directing various visuals involving Nicki Minaj like “The Night Is Still Young“, “Bang Bang“, and “Side To Side” etc. You can listen to what Hannah Lux Davis said after the jump below! After we found out “Only” had gone triple Platinum yesterday, the RIAA have now confirmed that Jessie J, Nicki Minaj and Ariana Grande‘s “Bang Bang” single was certified quintuple Platinum on August 17th. This means that the Max Martin, Savan Kotecha and Ilya-co-produced collaboration has been purchased over 5 million times in the United States of America since it was first released on July 15th, 2014. Congratulations to the girls on this amazing accomplishment! The nominations for the 2015 MTV Video Music Awards, which will be hosted by Miley Cyrus, were announced on Apple’s Beats 1 Radio show earlier today and Nicki Minaj picked up a total of 3. Nicki was nominated in the “Best Female Video” category for “Anaconda“, the “Best Hip-Hop Video” category for “Anaconda“, and the “Best Collaboration” category for “Bang Bang“. You can see who Nicki Minaj will be going up against to win her awards in the categories below and also vote for Minaj online here. This year’s MTV VMAs will take place live from L.A. Live’s Microsoft Theater in California on Sunday, August 30th from 9PM EST. Congratulations to the Barbie on her nominations! Young Money’s Nicki Minaj and Drake have both been nominated in the first wave of nominations at this year’s Teen Choice Awards, which were announced today. The Barbie was nominated in the category “Choice Song: Female Artist” for her “Bang Bang” collaboration with Jessie J and Ariana Grande, as well as also the “Choice R&B/Hip-Hop Artist” category, where she will go up against Drizzy. You can vote for who you want to win the awards online by clicking here. The 2015 Teen Choice Awards will air live on FOX Sunday, August 16th at 8PM EST! For a stop on her “The Pinkprint Tour” on April 4th, Nicki Minaj performed live at the Manchester Arena in Manchester, England. The Young Money Barbie will next be performing on her European tour later tonight at the Echo Arena in Liverpool. You can watch Nicki performing “Feeling Myself“, “Only“, “Truffle Butter“, “Moment 4 Life“, “The Crying Game“, “Grand Piano“, “Whip It“, “Trini Dem Girls“, “Super Bass“, “Bang Bang“, “The Night Is Still Young“, “Va Va Voom“, “Pound The Alarm“, and “Anaconda” live in Manny after the jump below!